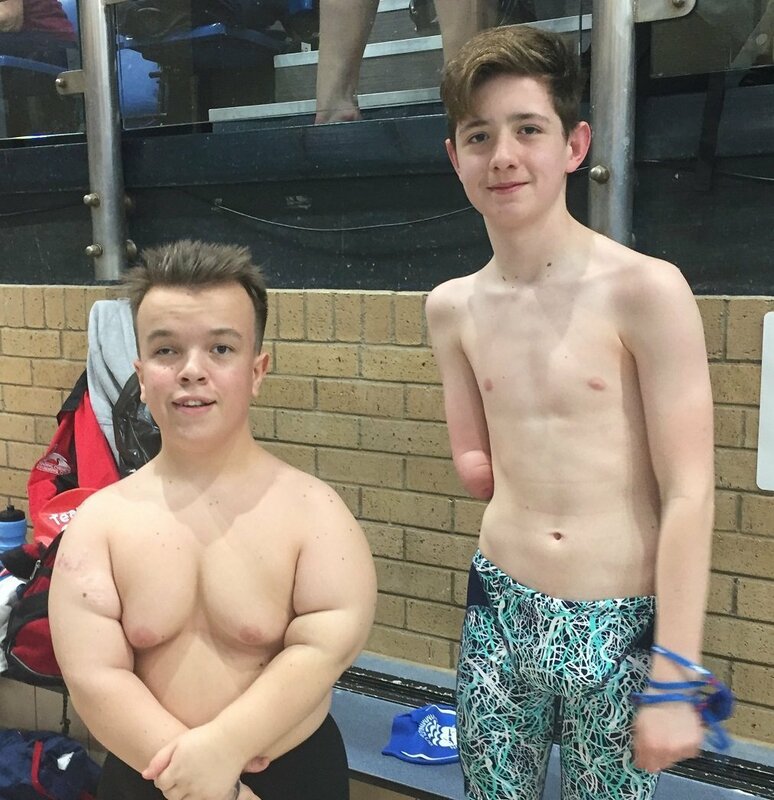 Congratulations to both Lewis Jones and Sean O’Sullivan on some great results at the Swim England South East Regional Para Competition in Southampton over the weekend. S9 swimmer Lewis, age 12, is now quite experienced. His 50 fly was especially good – 9 seconds faster than his entry time! There were further good PBs in his 200 free and 100 back. For 16 year old Sean, who has achondroplasia, this was his first gala. He did some time trials in training to get his entry times and beat all of these by 2-3 seconds. Both boys thoroughly enjoyed themselves. With thanks to Tracy who was their team manager. Previous: Previous post: Caleb Wins Gold at Special Olympics World Games!